Mobile phone applications can be of great help these days. You can count your calories and keep a watch on your weight. These applications allow you to enter your eating details. The applications guide and support youm throughout. One cannot really count stars and calories on his fingertips, while we cannot help you to count stars, we can definitely be of good help in counting calories. If you are one of those people who like to keep a watch at what is going into your mouth and how much of it is getting burnt then here are some applications for you to count the calories. You could be looking to count calories or just trying to get a better understanding of nutrition, whatever it may be, we have brought to you five apps that would do the monitoring of your daily intake in a simple and fun way. Technology is golden during the modern times, and honestly speaking, we are having the time of our lives. Applications come easy on your mobile phone, you can scroll up and down, touch, slide, press a button or two and done. You have all the fun and frolic that you wished for, and not to forget other aspects of our world too. Everything that once was a pain, that which had to be done in a manual and laborious manner is now not a problem anymore. Read on now and later you could start downloading! Here is an app that tells you how many calories are there in foods and drinks. The application can determine how much exercise you need in order to burn off the food or drink you have consumed. Yes, now you will finally know all the secrets that your chocolate truffle holds within. You can also enter your weight, heigh and age for some better understanding of things. You will also know from Lose It! about how many calories you should be consuming in order to achieve your ideal weight. 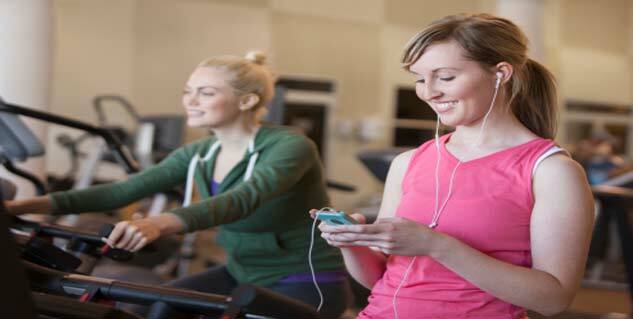 This app for the fitness freaks who are hitting the gym seriously. DailyBurn will stream your workouts regardless of where you are and when you are on the go you could watch fitness DVDs at the gym, at work, in your hotel, at home, in the bathroom! This application would see you paying a monthly fee which may not go down like a good idea, but never the less it is good! It streams well in all smart phone devices. This application is a great one, and the reason being that it is extremely informative. There are more than 250 restaurants and more than 60, 000 food items and the good news is that this application is free! It also has information on dishes and nutrition from protein, fat, carbohydrates to fiber. You can record your food items, discover food allergens and also find gluten free menu options. The calorie counter allows you to tailor your diet to fit your lifestyle. You could also share all your activities onto facebook! Another application for you to keep a count on your calories, this program is based off a natural diet plan and will help you to avoid starvation diets and the harmful pills for weight loss. In order to lose 0.5 kg you will need to lose 3,500 calories, and you can do the math from here onwards. You will be able to tailor your diet to fit your lifestyle and it is a great application to get motivated and find support. This application turns your mobile phone into a free personal trainer and is not exactly here to track your food. You can log your running, biking, walking and any other activity that is distance based. There is also a virtual fitness community that has more than 10 million users and this will help you to keep yourself honest to your workout program. Now is the time for you to search your phone’s application market and download that which will be your friend, mentor and guide for the days ahead. Happy losing weight folks! Read more articles on Health Apps.